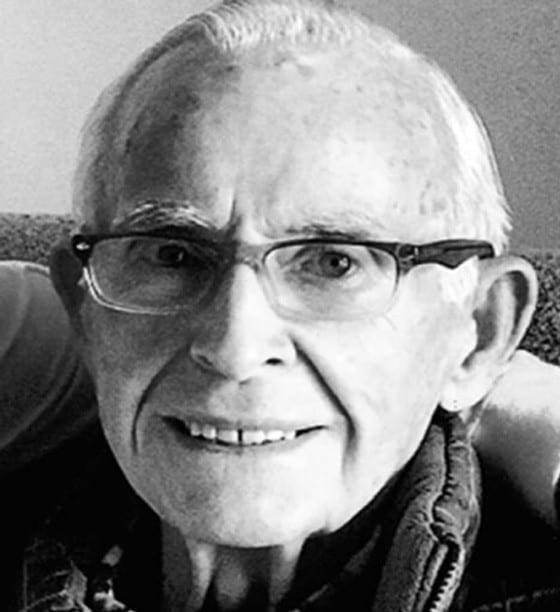 Sterling Clark, 86, a faithful follower of his Lord and Savior Jesus Christ, passed away peacefully Tuesday, March, 26, 2019, at his home in Angola, Ind. Sterling was born July 2, 1932, to the late Dale and Evelyn (Falor) Clark. He married his high school sweetheart and wife of 66 years, Marilyn Armbruster, on May 19, 1951, and she preceded him in death. Sterling will be remembered as a devoted husband, father, grandfather, and friend. Sterling’s character was exemplified as he faced the onslaught of Parkinson’s Disease. His faith, courage, and love was an example to all until the very end. He and Marilyn farmed in Michigan and Ohio for 50 years, and then as “snowbirds” in Florida during the winter months for over 40 years. They also enjoyed their summer home on Round Lake, Mich. Sterling attended Ohio State University to become a certified milk tester for an Ohio dairy improvement program in which he worked to improve the profitability of dairy farmers for many years. He also ran a farrow-to-finish swine production system for over 30 years. He loved horses, and enjoyed racing ponies in harness races at county fairs in the region. Sterling was a longstanding member of United Methodist Church in Wauseon. He is survived by his daughters, Beverly (Donald) Wyse of St. Paul, Minn., and Pamela Clark of Angola, Ind. ; his son, Sterling Wesley Clark II of Largo, Fla.; siblings, Betty (Clark) Smith of Florida, Leona (Clark) Barnes of Chicago, and Ruth Ann (Clark) Hawk of Texas; 11 grandchildren, Dawn (Todd) Pester, Ryan (Mary) Wyse, Josh Schaffner, Jasen Schaffner, Tara (Phillip) Roe, Lindsey Gleckler, Jacqueline (Vytas) Najisetty, Sterling Clark III, Logan Clark, Tyler Clark, and Caleb Clark; great-grandchildren, Hayden Pester, Lara Pester, Nathan Rudolph, Conner Wyse, Cameron Wyse, Kennedy Strain, Karragen Strain, Taegan Strain, Maddox Schaffner, Felicity Schaffner, Ellen Roe, Trenton Snyder, Sabra Gleckler, Kaylan Gleckler, Zane Gleckler, Gwen Clark, Vivienne Najisetty, Eloise Najisetty, and Wyatt Clark. He was also preceded in death by his brother, Harlan Clark, and great-grandsons, Tristen Schaffner and Matthew Roe. A Celebration of Life will be held for Sterling in early June at Tedrow Family Cemetery in Ohio. In lieu of flowers, contributions are encouraged to be made to the American Parkinson Disease Association, www.apdaparkinson.org, or Gideon Bibles, www.gideons.org/donate. Be the first to comment on "Sterling Clark (1932-2019)"